Founded in 1993, the Southwark Playhouse Theatre Company found a disused workshop and quickly turned it into a theatre space. The theatre developed a free-at-source education scheme, working with local teachers, business, and the Southwark Borough Council to engage with youths and improve education performance. Over the years the Southwark Playhouse has established itself as one of London foremost studio theatres, not only by adhering to its commitment of top quality cutting edge theatre, but also by offering the lowest venue hire rates in London theatre, helping emerging companies perform in the capital. Since 2009, the Playhouse offer opportunities for youths ages 11-25 with its young company YoCO, leading workshops and lessons to teach young people how to run a theatre company as well to increase confidence in performance. 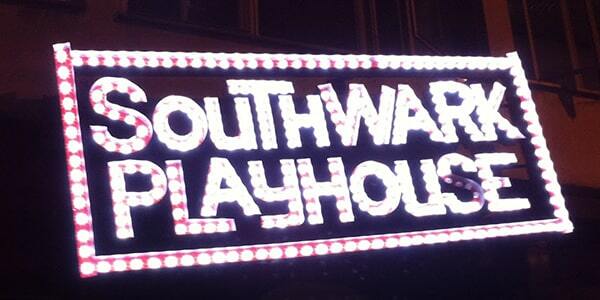 The Southwark Playhouse has moved location twice. Once in 2006 to a site underneath London Bridge station, and again in 2013 as reconstruction began on the station. The Playhouse will remain at the current site on Newington Road until construction is completed in 2018.